● An evaluation of the home’s physical condition including its structure, mechanical systems, and construction. ● An estimation of the remaining useful life in all your home’s major systems, equipment, structure, and finishes like plumbing and roofing. ● Identification of any items that require necessary repairs or replacement. Contrary to common knowledge, your lender doesn’t guarantee the condition of the home you’re purchasing. If you close on the home, then find problems, your options are limited. So as a home buyer it is imperative for you to get a general home inspection. And we’ll be your advocate. We will inspect any home you consider purchasing and provide you with all the information you need to rest easy knowing you made a great buying decision. After a Cleveland home inspection service with us, you’ll receive a full color detailed home inspection report that is easy to read and loaded with all the information you’ll need. We’ll make sure you are informed and educated during the home buying experience and have a great experience in your new property. Call us today for more details. (216) 554-7272. We meticulously inspect the home’s foundation, entry ways, porches, etc to identify any symptoms that indicate trouble. We particularly look for sagging roof lines, gaps in the siding, or a porch that is pulling off the building. We’re experts in identifying any problems with the home’s foundation and we’ll make sure you know anything that could possibly go wrong before you close on the property. When we look at the exterior of the home, we not only do a visual assessment, we look for grading problems that might cause future expensive issues with drainage. If your property has trees or other vegetation, our expert inspectors will be able to tell you if the tree’s roots pose a threat to the home’s foundation or plumbing. We also make sure any electric garage doors are in compliance with safety standards. Learn more. When we know the age of the roof and enforce our knowledge with a visual check, we can give you an accurate assessment on its condition. When conditions are safe, we also offer you a report on any roof drainage systems, chimneys, skylights, and more. Learn more. Our inspection includes an interior water supply and distribution system test that will give you accurate information on the water pressure and the water heating equipment. No toilet or faucet goes untested during our inspection. Rest assured that if a leak exists, we’ll locate it. Our inspection of the home’s electrical system is more thorough than our competitors. We check to make sure industry standard current protections and grounding measure are in place. Also we always look for the presence of aluminum wiring which is a serious fire hazard that most states banned years ago. If safe, we removed the electrical box’s face for a check. No electric switch or outlet gets by without an inspection and so do the smoke alarms. Learn more. Nothing is worse than buying a new home only to discover that the heating doesn’t work well in the winter or the AC fails in the summer. No matter the season, we always check the heat thoroughly so you’re never stuck in the cold. If the outdoor temperature is below 65 the AC cannot usually be checked. If your home is heated with oil, we’ll inspect the tank and all visible lines connect to it. Learn more. Every general home inspection includes an in-depth look at the floors, ceilings and walls for any water damage or sagging. We’ll check the safety and compliance of stairways and railings for you. And we’ll inspect a sample of the windows and doors for condition. As for the kitchen, counter tops and a representative sample of cabinet interiors will be inspected. In the basement, we look for any evidence that water has gotten inside or if any structural problems are evident. Learn more. If the ventilation in the property is poor, moisture can accumulate leading to mold or energy consumption can be excessive. We’ll inspect the insulation and any vapor barriers in unfinished areas of the home like the attic or basement. We’ll also examine the home for mechanical ventilation systems in locations that have high humidity like the bathroom and kitchen. 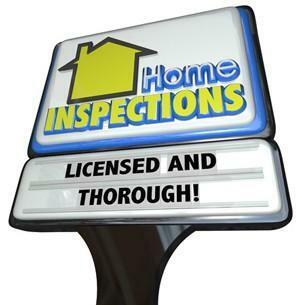 Every one of our home inspections covers an appliance check. We’ll run the dishwasher and ensure the stove burners work and operate safely. If any other appliances are included in the home sale like a washer and dryer, we will inspect them to ensure they are operating. Learn more. In older homes, fireplaces can lead to future problems. So if your new property has a fireplace we will check for a proper draft, the integrity of the flue, and to make sure there are no blockages in the chimney. Our inspections also covers an exterior inspection that looks for lose bricks, pointing, or flashing in the chimney. Learn more. Protect Your Investment. Get a Cleveland Home Inspection. After a home inspection service in your Cleveland home, you will be given a full color easy to read report that details out everything you need to know about the condition of your home. We will make sure you get all the information you need in order to make a wise home buying decisions that serves you and your family for many years to come.